Darkest Hour is going on hiatus for a bit. Why? Well there’s several reasons for it which I shall explain. This one is the biggest reason. I’ve been pushing ever forward on my novel and really need to buckle down. Last week I managed 5 Chapters, or roughly 14,000 words which is a good amount. I want to keep this pace going and Darkest Hour takes a whole lot of that time away from me. I love Darkest Hour, and I love fan fiction but for the moment I need to be concentrating on my novel. I want to get out of this damn cubicle someday, and so thus must write the book. Book or bust! I had a lot of power going into this story. As it continued on though I lost a little bit of that steam. If you haven’t noticed, the last two chapters haven’t been terribly inspired. I wrote them on the weekend and it started feeling more like work than fun. When that happens, the work suffers and you guys deserve better out of me. I don’t want you coming to my blog and reading crap. I just don’t. That’s right! I hope some of you are enjoying my voyage into serial fiction with my Icarus posts. Starting tomorrow I’m going to try posting 3 times a week instead of 2. Will it blow up? Maybe. Will it be fun? I sure hope so. 4. So… what about Fan Fiction Mondays? Still gonna happen, but instead I’m going to try and point you to some other folks who are doing AWESOME work out there. So please, if I link a Fan Fic, check it out. They’re good people. 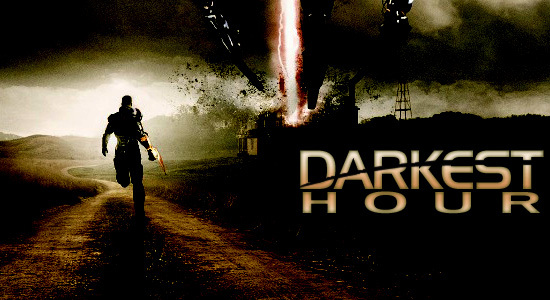 This entry was posted in Darkest Hour, Fan Fiction and tagged Darkest Hour, Fan Fiction, James Wolfe, Mass Effect, Science Fiction, SciFi. Bookmark the permalink.